To Inspire, Educate and Connect (ICE) young people with valuable skills that will shape their creativity, innovation and talents towards impacting positively on social change. To create systems and platforms of giving back to the community once a youth is trained. To organize forums where the youth will share and learn from each other through workshops and events. To encourage teamwork spirit together with empathy, discipline, trust and hard work as a key towards management of the skills acquired and talent. To organize platforms for mentor-ship and coaching through expert session and events. Specific objective under our ICE program. 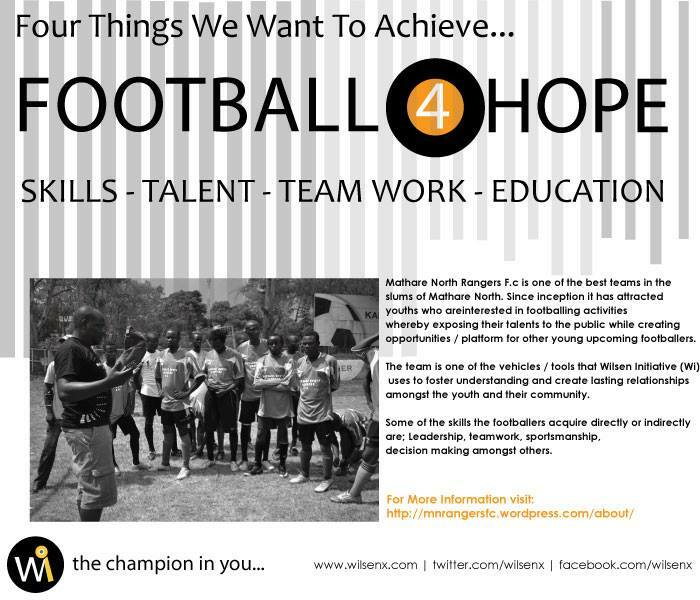 Main goal ; using football to drive forward social change. Creating channels of opportunities for youth from disadvantaged backgrounds through matching skills and talents with the markets needs. 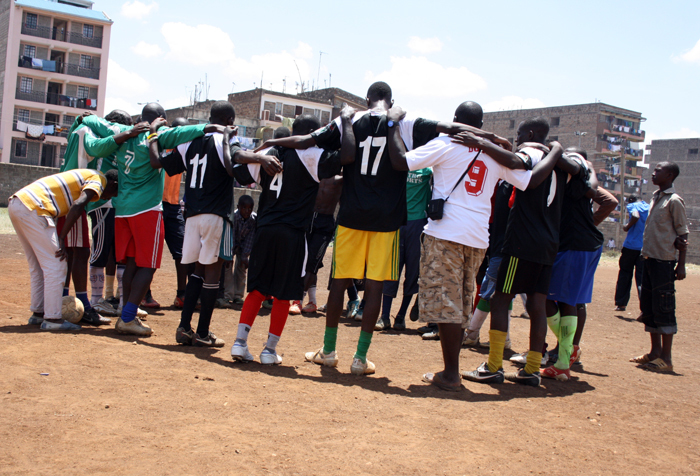 Networking with other youth-led groups to foster peace and other social activities using sports. Use football as an agent for change whereby facilitating the teams in local and regional tournaments. 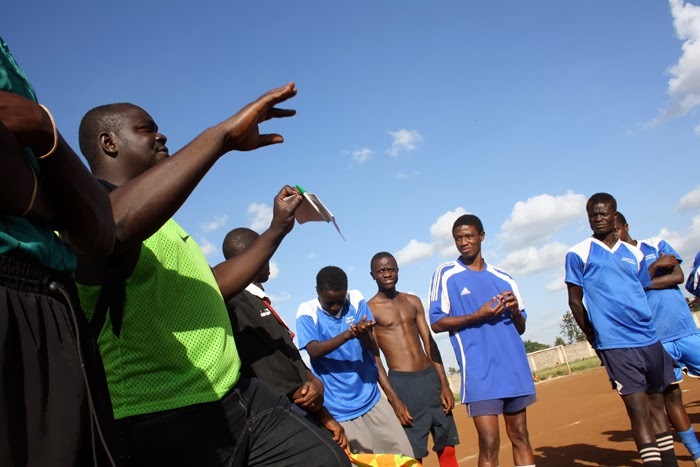 Using football tool to drive positive social transformation. To create a channel for youth to explore other cultures around the country by visiting different places. Learning other life-skills through football for example leadership and self esteem. Main goal: sharing experiences and stories for positive change. Sharing life experiences and career guidance through workshops. Motivating and inspiring youth in the society by being good role models. Empowering the youth to be critical thinkers and change makers in our society through networking, sports and education. Self discovery; fostering self esteem and awareness on how you can tap into your owns potentials. Giving motivational talks in schools, colleges and the community at large during events and seminars. Create networking platform where the youths can meet other role models in their immediate community and beyond.